Made with just a few wholesome ingredients, you'll feel good about trying this recipe. Powerlifter Sam Amorim loves to eat them as a post-workout snack. They're also great to carry with you when you know you'll need a protein-rich treat! 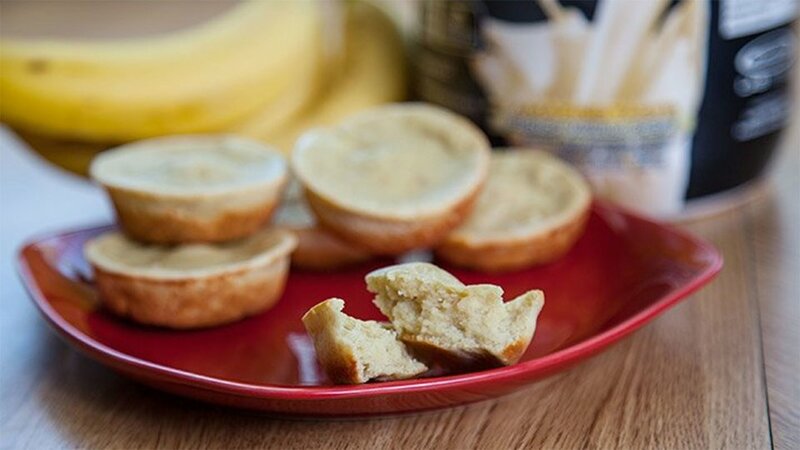 Pour into non-stick muffin tins.